Losing hair can be so embarrassing in many ways, making you feel less confident which results in a declining of self-esteem. Hair is the most important part of your appearance and sets the tone for your entire individual presence. Hair loss may arrive surprisingly, but it is no mystery. There is always a cause. Both men and women suffer hair loss but patterns may vary in both. Hair Transplantation is one of the quick emerging processes of inventive surgery, followed by regular improvement in techniques. The modern techniques and the concept of using follicular unit grafts have taken this procedure to new heights. Hair transplantation has inspired a large number of balding men and women to opt for this surgical solution and restore their natural hair. Since hair loss is a common occurrence for many, Alvi Armani brings to you the best way of restoring your lost hair and achieving a natural look in minimal pain and expense. With extensive experience of 18 years, Alvi Armani has become a trusted choice for hair restoration treatments worldwide. Their business is accepted internationally as the best in class. The two decades of extensive knowledge and professional dermatologist expertise have never disappointed their patients. We are working with certified medical practitioners that follow the latest procedure of hair transplantation. We have developed a strong foundation in numerous countries- USA, UK, Canada, and Argentina. Also, you can find our modern FUE hair restoration clinics in India as well-Ahmadabad, Bangalore, Chennai, Delhi, Hyderabad, Jaipur, Mumbai, Nagpur, and Pune. 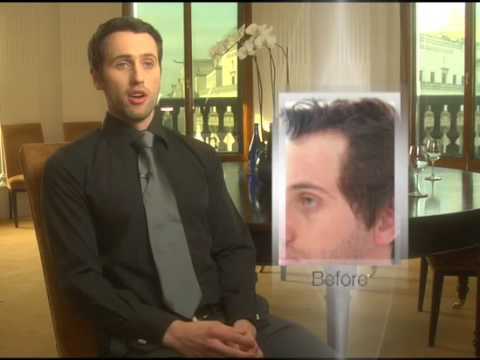 To see how effective hair transplant treatment is at Alvi Armani, you can simply go to our hair transplant result section. Our experts will advise you and resolve all your queries in the best professional manner.